Dani Ceballos scored twice on his full debut as Real Madrid bounced back from a shock midweek defeat to Real Betis to close to within four points of La Liga leaders Barcelona with a 2-1 win at Alaves. Earlier, Diego Costa was an interested spectator as Atletico Madrid leapfrogged Sevilla into second thanks to goals from Yannick Carrasco and Antoine Griezmann in a 2-0 win at the Wanda Metropolitano. Barca can re-establish their four-point lead over Atletico with victory later at Girona. Ceballos was one of three changes made to the side that lost to Betis by Zinedine Zidane as Luka Modric and Gareth Bale were left on the bench ahead of Tuesday’s Champions League trip to Borussia Dortmund. And the Spanish under-21 settled Madrid’s nerves after just 10 minutes as he caught Fernando Pacheco flat-footed by pulling the ball inside the goalkeeper’s near post from the edge of the area. Alaves caretaker coach Javier Cabello had denied Enzo Zidane the chance to face his father Zinedine and former club as he was left out the Alaves squad. However, Cabello did manage to inspire a more spirited display from the hosts despite a sixth straight defeat as they scored their first goal of the season five minutes before half-time. Alaves captain Manu Garcia met Munir El Haddadi’s cross flush to power a header into the top corner. 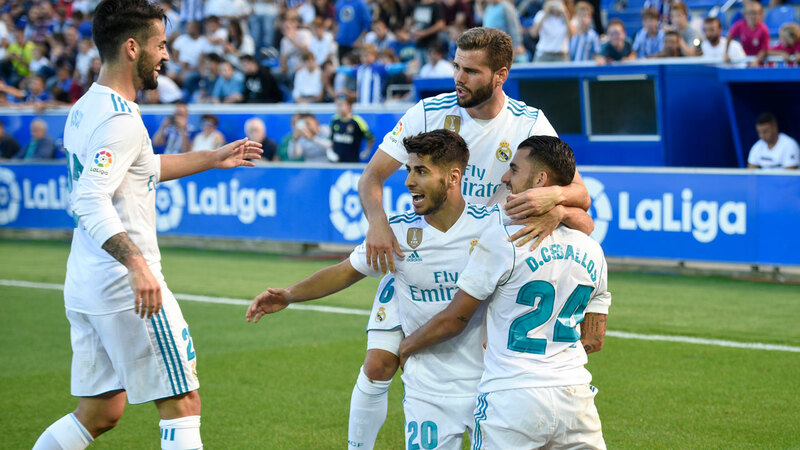 Madrid retook just three minutes later, though, as Ceballos pounced on a poor punch from Pacheco to fire into the bottom corner. Real should have ensured a far more comfortable afternoon after the break as Pacheco made a great save to deny Isco, Cristiano Ronaldo struck the woodwork twice and Sergio Ramos blazed over with the goal at his mercy. Yet, Alaves could also have snatched a first point of the season as Alfonso Pedraza’s deflected effort hit the bar before Pedraza struck the post when clean through on goal. Atletico maintained their impressive start to the season despite the difficulties of a ban on registering new players. 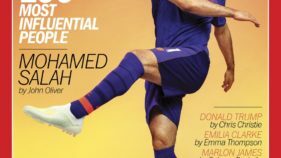 Costa won’t be able to feature until January after completing his prolonged return to the club from Chelsea for a reported club record fee of 55 million euros ($66 million) plus 10 million more in add-ons. “We are happy that a player of his stature wants to come to Atletico Madrid,” Atletico boss Diego Simeone said of Costa’s return. Filipe Luis smashed the underside of the bar with Atletico’s best effort of a first-half short on clear-cut chances. But it took less than a minute of the second period to break the deadlock when Carrasco showed great awareness and pace to latch onto a short back pass from Steven N’Zonzi to beat Sergio Rico to the ball, round the keeper and slot into an empty net. Griezmann then made the game safe 20 minutes from time as the French international won a tackle inside the Sevilla box before lifting himself off the floor to receive Luis’s pass and drill through Rico’s legs. “In the first-half we found it more difficult and they controlled the game,” added Simeone. “But you could see with Carrasco, Griezmann and Filipe that if we got the final pass right we could win the game.